I’m in love! This love is called Raven. It’s official, I am in love with the most amazing essential oil possitble. I bought this oil, just because I loved the name. As my passion for the amazing bird Raven is also a big part of my life. They bring magic into the world, not quite sure why this feels so strong to me. As this essential oil seriously captivated me, it was time for some research. Let me share with you what I have found so far. What is in Raven Essential Oil? 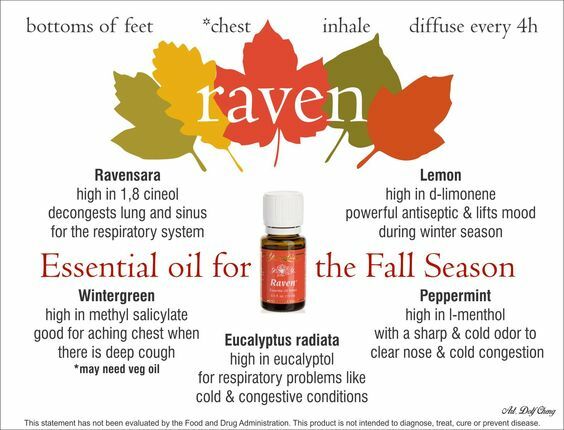 There are five different essential oils in Raven. They are listed below along with a brief description of each oil. Ravensara Essential Oil or Ravintsara (Cinnamomum camphora) is a cross between the nutmeg and clove plant. It has purifying properties and is highly regarded by the people of Madagascar. Eucalyptus Radiata (Black Peppermint Oil) or Black Peppermint Oil is one of many eucalyptus essential oils. It is primarily used to for cleansing and purifying. Peppermint Essential Oils (Mentha piperita) is one of the most highly regarded herbs for supporting normal digestion, including promoting healthy intestinal function and gastrointestinal system comforts*. It is also an essential oil in the Raindrop Technique. Lemon Essential Oil (Citrus limon) Lemon consists of 68 percent d-limonene. It has cleansing and purifying properties. Raven is an oil that strengthens and energises our mind and body. It has this to way of working, it keeps you possitively going during the day, but using it in the evening it relaxes you down. It delivers the most amazing dreams. Raven promotes opening of the solar plexus and heart chakras. 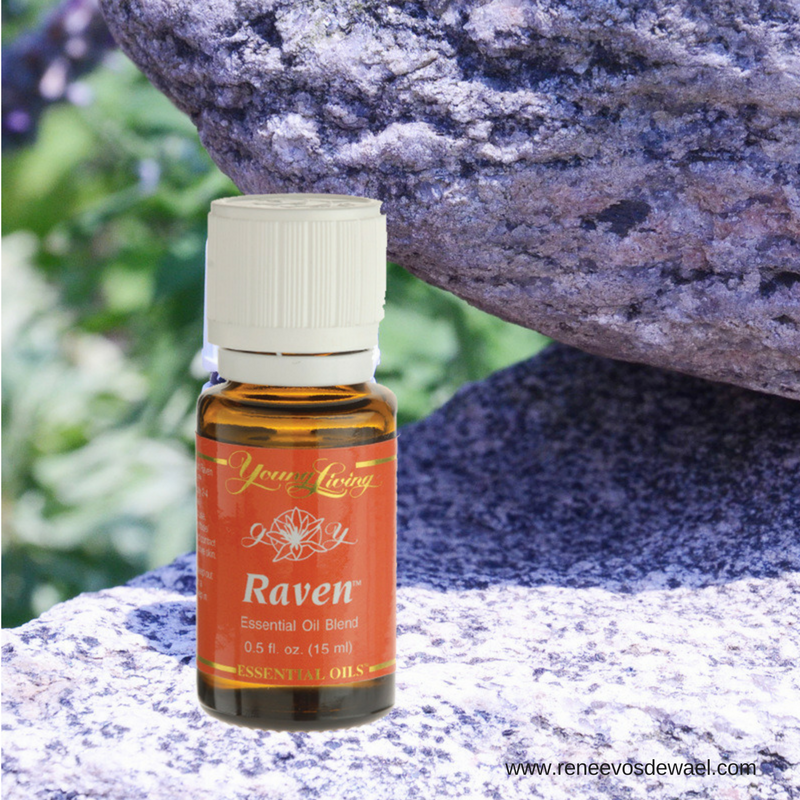 Raven essential oil opens the solar plexus and heart chakras. It helps us to express our self in the world better by releasing sadness. Those who feel rejected and are holding onto deep sadness and grief will see some emotional release with this oil. Im portant note to this essential oil is safety precautions; Raven Essential Oil can be irritating to the skin (dilution is necessary). Do not use on children under age 6. If pregnant or under a doctor’s care, consult your physician. Would your like to purchase therapeutic Raven Essential Oil? Go to the Oil Shop! Buy Raven Oil Here! 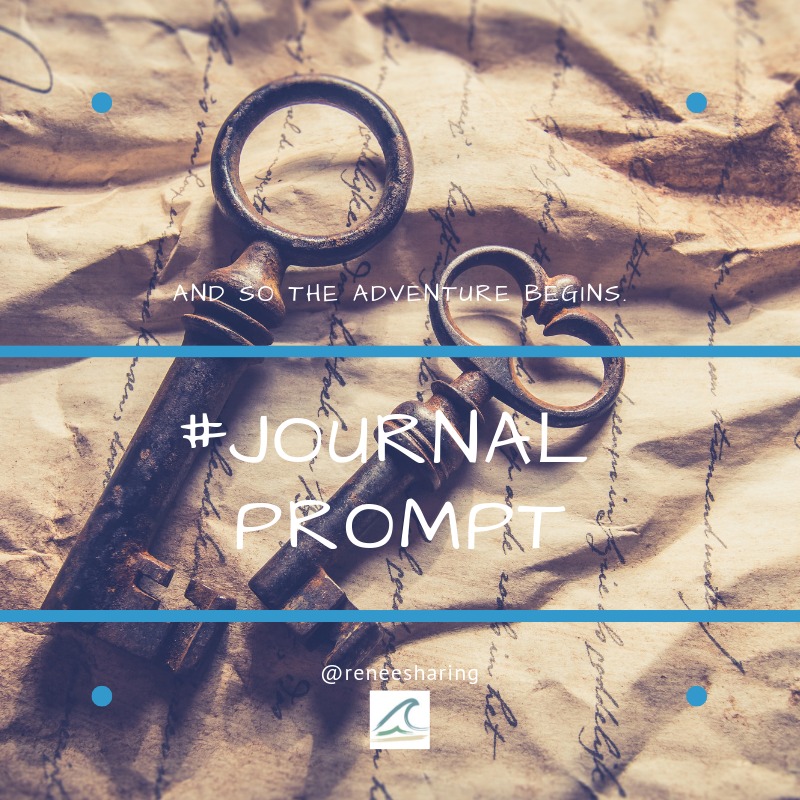 This entry was posted in blog, emotions, essential oils and tagged Change, Coaching, emotions, essential oils, Finding Yourself Through Intuition, good vibes, Gratitude, Happy, inspiration, intuitive, journal, life, Mind Body Spirit, personal development, reflections, Renee Vos de Wael, six sensory living, spirituality, thoughts, young living.